Are E-Books Killing Book Covers? When a book is made into a movie, the movie poster almost always becomes the book cover. This isn’t a surprise; book covers often change when a new edition of the book is released. Book covers adjust with the book, and in the case of it being adapted for the silver screen it is smart to associate the book with Hollywood. E-Books, however, have changed the way we look at book covers. Readers are less often picking up a book to buy it, but instead they are clicking a link to do so. Book covers need to grab attention, but there is sentiment that word-of-mouth and reviews have become even more important with E-Books making book covers less recognizable. Up until the 1930s, book covers weren’t anything but title, author, and publisher. While e-Books are the future of books, it is not a stretch to say that the importance of the book cover is dwindling and the words inside are more important than the image in front. Readers treat Amazon for what it is: an online bookstore. Browsing through titles online is similar to how one would in a bookstore, just in a less personal way. You scroll through, just as you would walk through a bookstore, and wait for something to catch your eye. While you miss out on sensory details — you get no feel for the book: no crispness of the stiff paper, no flipping through it to hear the fluttering of the pages, no deep breaths to capture that new book scent — you do look for a cover that jumps out and then you read the blurb and the reviews to see how interested you are. In Front Cover: Great Book Jacket And Cover Design, Alan Powers writes that book covers need "a form of hidden eroticism, connecting with some undefended part of the personality in order to say &apos;take me, I am yours&apos;." Book covers now need to do that even more, and on a much smaller scale as readers click thumbnail sized pictures of the book. My mom is a librarian, and when I was growing up piles of books found themselves scattered throughout our house. Navigating through our living room was like making your way through a metropolis of towering, unstable book piles. I wasn’t that much of a reader growing up (sorry, Mom!) but some books would catch my young eye: the ones with wonderful covers. 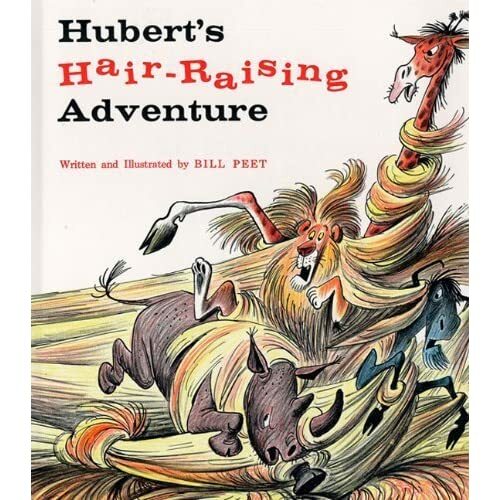 For me, that meant Heckedy Peg with its jubilant children playing and the antagonist creeping towards them or Hubert’s Hair-Raising Adventure where the disgusted faces of the safari animals was enough to draw me in. The books that didn’t have their cover sleeves and instead were the rough, canvas like hard covers were discarded. Book covers drew me in, whether the book was great or not. It isn’t quite fair to compare children’s picture books with the book covers of novels, especially when dealing with a child looking for a book, but cover art is an important part of the book industry. It is not as important with e-Books. While readers will most likely be attracted to click on a book because of its cover, readers are now in a time where word of mouth and seeing someone post a review on Facebook or Twitter will be more of a draw to read a book. It isn&apos;t the 1920s, when book covers were bland and boring, but it is a time where book covers are taking a backseat to reviews. Even as e-Books have taken over a portion of sales, the book cover is still important — just maybe not as important.